Given its proximity to some of the world’s largest lakes and an abundance of smaller inland lakes and rivers, it’s no surprise that the Great Lakes State has many options for fishing. Here’s our pick for the best places to go fishing in Michigan – weekly reports from the Department of Natural Resources can advise you on likely numbers and conditions. Part of the Great Lakes system, Lake St Clair lies between Lake Huron and Lake Erie, which are connected via the St Clair River and Detroit River. This freshwater ensures a healthy population of game fish, and the lake has long had a reputation as a world-class fishing destination. Muskellunge, smallmouth bass, yellow perch, walleye, giant channel catfish, pike and largemouth bass are just some of the fish you may come across. 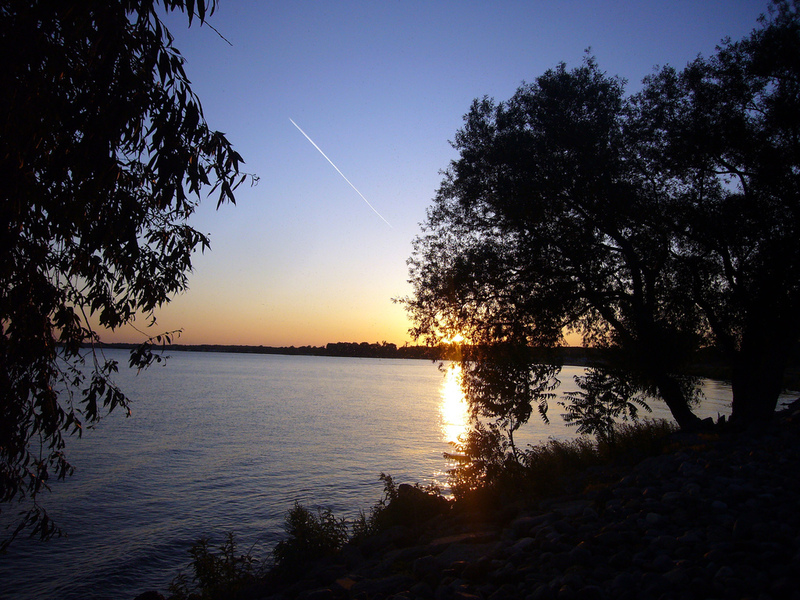 In northeast Michigan, Hubbard Lake is the state’s 12th largest lake and always popular for fishing. Smallmouth bass, walleye, northern pike, lake trout, whitefish, yellow perch, suckers and gar can all be found in the lake, with walleye particularly abundant according to a survey in spring 2017. The excellent clarity of the water draws many anglers throughout the year, with ice fishing also popular in winter. On the eastern side of the main peninsula, Saginaw Bay is located where Lake Huron juts into mainland Michigan. It’s a large basin that has become one of the nation’s top walleye fisheries, with national walleye tournaments held in the Bay. Alongside the walleyes, yellow perch, smallmouth bass and channel catfish are also abundant and popular catches in the area. Lake Leelanau lies in the Leelanau Peninsula and actually comprises two bodies of water, usually referred to as North Lake Leelanau and South Lake Leelanau. It’s 21 miles in length, and about 1.5 miles at its widest. Between the North and South, there is a large population of walleyes, perch, smallmouth, and northern pike. The lake has a natural reproduction of walleye, with plenty to catch. First pass this morning, Jack's first walleye of the year. Union is one of many lakes west of Pontiac in Oakland County, but despite only being the 10th largest in the country, it’s maintained a reputation for great walleye fishing thanks to a combination of stocking and natural reproduction. Fishing at Union is popular year-round, with ice fishing offering a different challenge in winter. Located in northwest Michigan, Burt Lake is the state’s fourth largest lake at 26 square miles. Despite a lot of fishing over the years, natural walleye reproduction is the main source of replenishment and maintains the lake as a respectable fishery for small walleye. There’s also a population of smallmouth bass, average size pike, and deep water trout to be caught.